Elegant, poised and oh so sophisticated the Round Glass Dining Table will bring that je ne sais quoi to your home interiors! 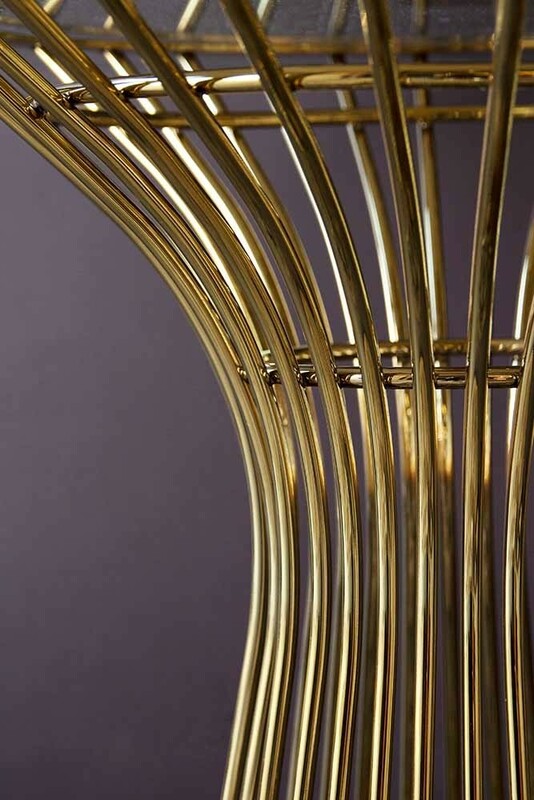 A contemporary piece the circular table features a gold fluted base and a large clear glass top. 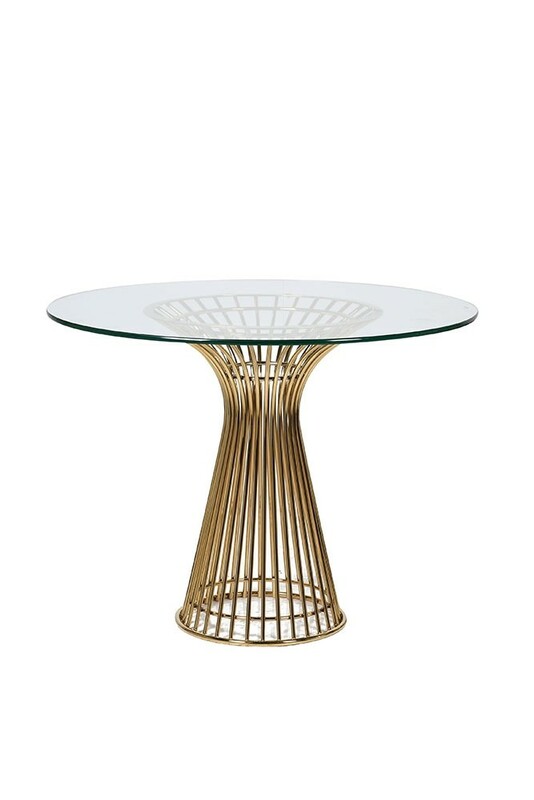 Perfect for modern décor or small space living the Round Glass Top Dining Table has a stainless steel frame and measures 100cm in diameter x 60cm in height. Please note, this beautiful table is handmade so it may have the small imperfections or variations which only adds to the authenticity of this beautiful table. This dining table will require a private courier delivery, with delivery made within 2-3 weeks of your order being placed. 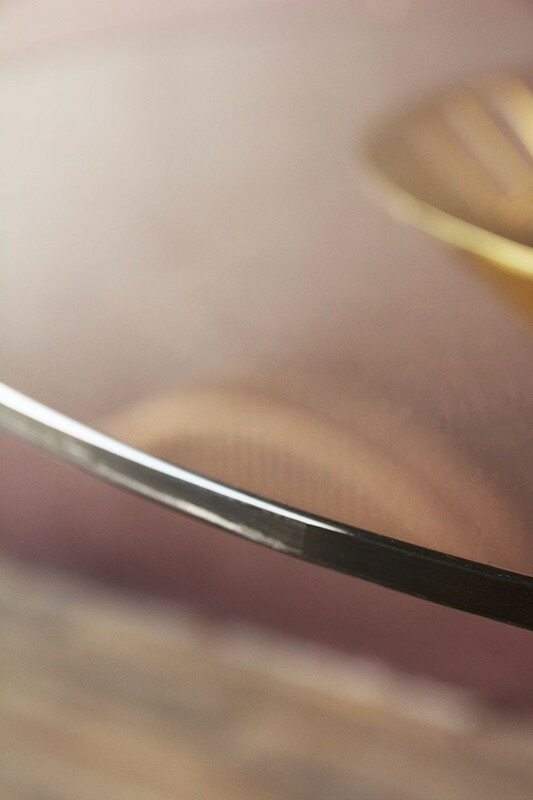 A lovely piece the Round Glass Top Dining Table will complement any interior that is in need of a modern update, but we think that it will be particularly loved by anyone who lives in a small flat or home, or simply needs to furnish a small dining room. 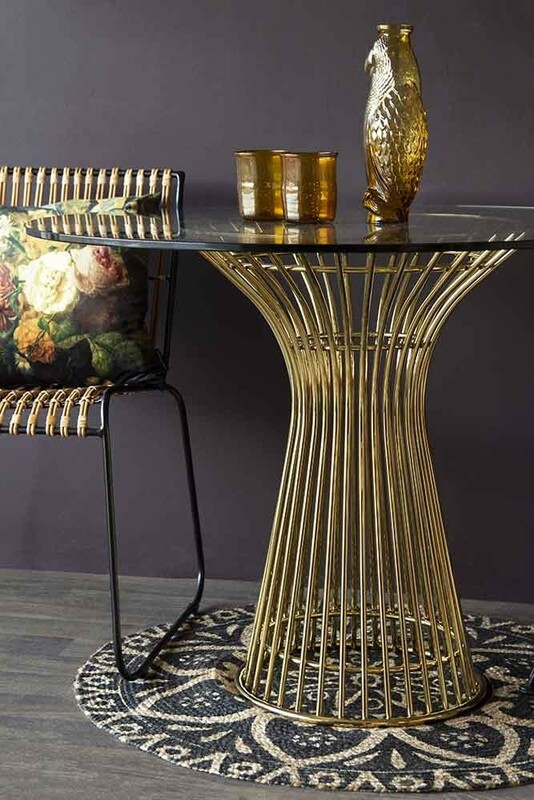 This is because the Round Glass Top Dining Table is raised on a gold stainless steel stand and has a glass top, meaning you can see more of the floor and thus creating the illusion of more space in a room! Sitting two to four people the very sophisticated the Round Glass Top Dining Table would look fabulous with some contemporary style dining chairs such as our Gala Velvet Dining Chairs or the Faux Leather Dining Chairs With Brass Legs. Then create a lovely centrepiece with a large vase of florals or a quirky candlestick display. If you really need to save on space consider suspending a floral centrepiece above the table. Its incredibly impactful and is guaranteed to make heads turn and jaws drop.